Independence Hall at Fourth & Walnut streets in Philadelphia. With Mayor Jim Kenney in tow, Drexel University's Center for Cultural Partnerships and Visit Philadelphia — the digital tourism arm of the city — announced redefined boundaries for the city's historic district at a press conference on May 25. The new boundaries, to be marketed simply as "Historic Philadelphia," span from the Delaware River waterfront on the east side to Seventh Street on the west, and Vine to Lombard streets running north to south — notably, now encompassing Washington Square, Society Hill and the waterfront. It's part of an effort to not only represent more of the original Philadelphia grid and its history — including Mother Bethel African Methodist Episcopal Church, as Mayor Kenney highlighted — but also to encourage visitors to involve themselves with the goings-on of surrounding neighborhoods. "[We want visitors] to not only sightsee, but sight-do — to become part of what we live with every single day," Meryl Levitz, president and CEO of Visit Philadelphia, said at the conference. "It's really important for people to understand that we're a living city," she told PhillyVoice. 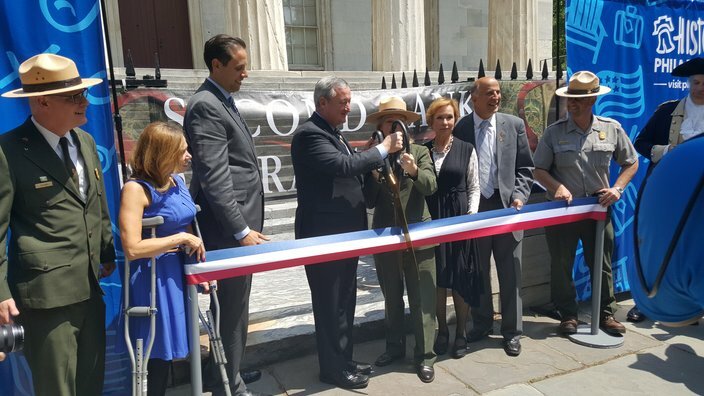 Mayor Jim Kenney joins representatives from Independence National Historical Park, Drexel University, City Council and more to celebrate the launch of Historic Philadelphia, as well as the reopening of the Second Bank of the United States. The campaign aims to promote destinations outside of the city's evergreen historical destinations. 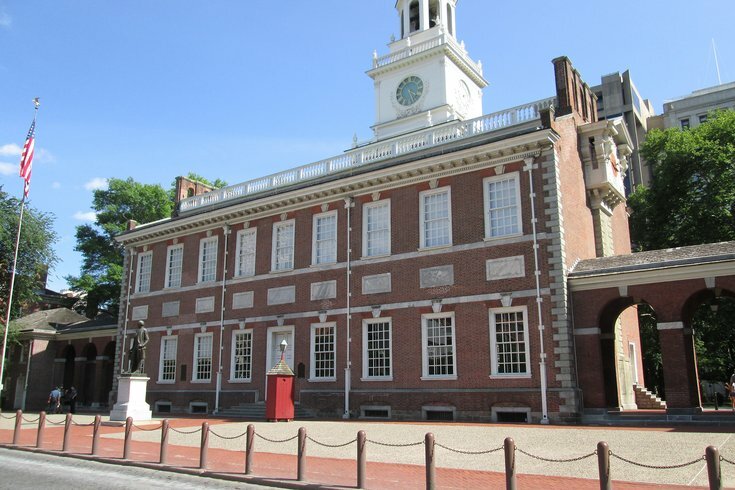 According to Independence National Historical Park, 4.3 million people visited Independence National Historical Park, which is made up of the Liberty Bell Center, Independence Hall and the Independence Visitor Center. However, research commissioned from a team of Drexel University MBA students demonstrated many of those visitors never ventured outside of that immediate area. That's a large part of why the redefinition and associated campaign came to be. The Historic Philadelphia campaign is funded in part by philanthropist Gerry Lenfest, who donated $1 million, and matched funds from the Pennsylvania Department of Community and Economic Development — fund appropriations first approved by former Gov. Tom Corbett, but moved along by Gov. Tom Wolf. The $2 million, two-year campaign includes new colonial-themed activities (many of them involving actors), the return of a puppet show, new storytelling benches that cover a wider area, a 24-stop Historic Philadelphia Trail, discounted museum passes, 225,000 printed maps and guides and new marketing efforts. Programming is expected to evolve over the course of the campaign, which culminates in the 2017 opening of the brand-new Museum of the American Revolution at Third and Chestnut streets. But long-term, the idea is to create a connective tissue for organizations, shops and restaurants within the expanded borders. "A really important part of this was bringing together all the different people in the neighborhood," Levitz explained. "You would think everyone knows each other and talks to each other all the time, but that proved not to be the case. People had different needs, different interests. And a big part of it was pulling everyone together and explaining this would not take away anything from anybody — this would just make the pie larger."